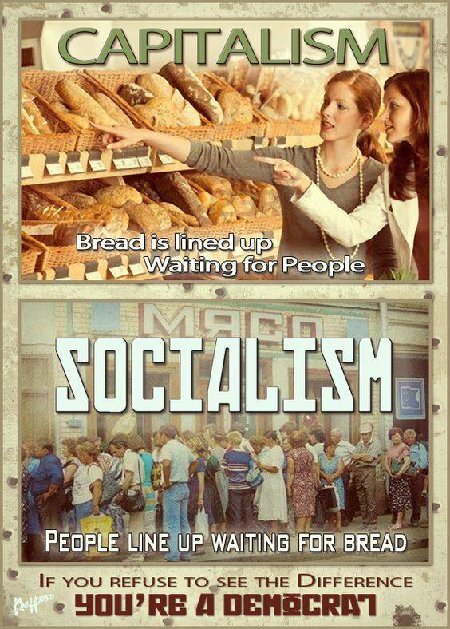 Despite the oft-ranted delusions of the Left, this does sum up the contrast between Capitalism and Socialism in the real world as opposed to the academic fantasy utopia that certain sorts insist in living in. Only in the case of a very few, very small, very wealthy countries has Socialism worked at all…and in those few countries it is maintained through strict laws, e.g., stringent immigration laws, that the Liberals and Progressives within America hate, loath, and deplore. This entry was posted on Sunday, September 11th, 2016 at 9:05 am and is filed under Politics. You can leave a response, or trackback from your own site.